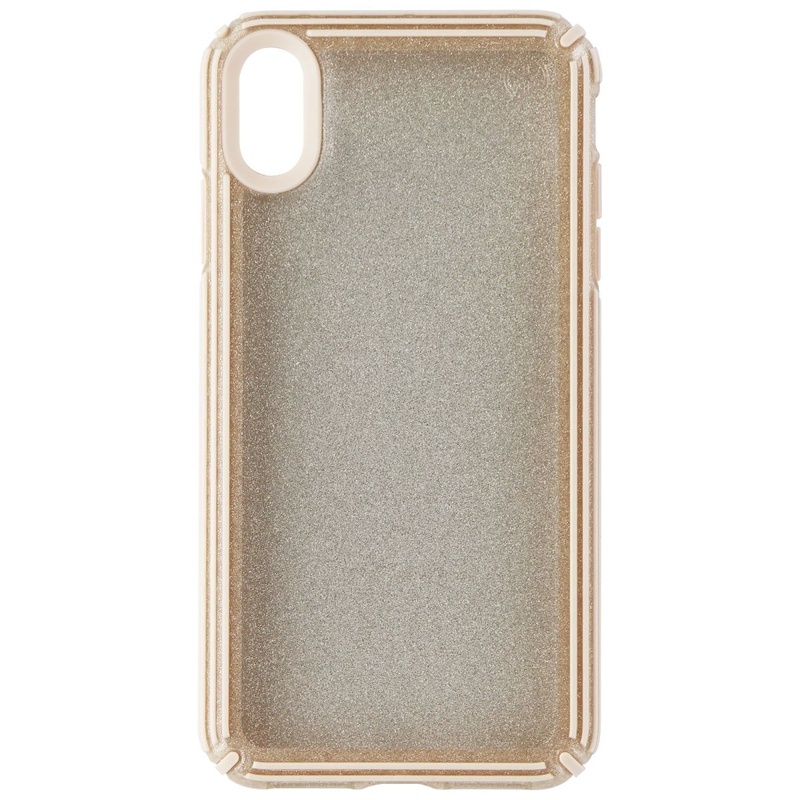 From Speck products, The Presidio V-GRIP Series Case for Apple iPhone XS Max smartphones. Clear and Gold Glitter/Calfskin Brown version. - Ridges of IMPACTIUM material on the inside perimeter compress on impact to absorb and disperse shock. Dropped from 10 feet multiple times by independent labs to ensure superior protection. - A polycarbonate outer shell and an inner IMPACTIUM lining are molded together to give you two layers of protection in a slim, one-piece case. - Raised bezel gives screen extra protection from scratching and shattering if your phone falls and lands face-down. - The outer perimeter has raised ridges to provide a secure hold.